Romeo has created an army of Robots that are advancing closer and closer to the PJ Masks Headquarters. 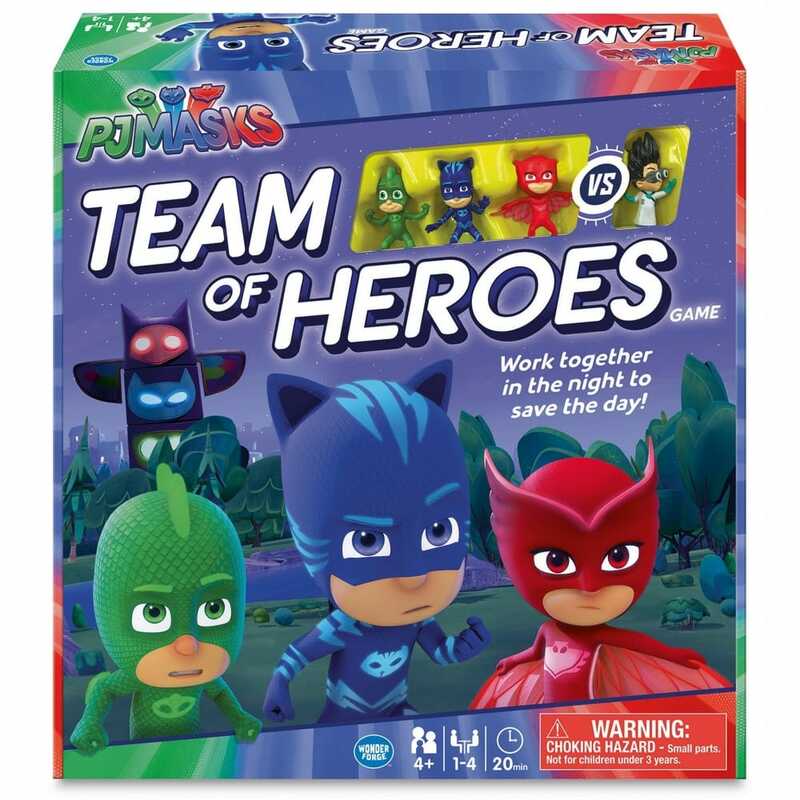 In this exciting and fun game use your beginner strategy skills and superpowers to win as a team! This game includes 1 x game board, 33 x playing cards, 4 x movers, 15 x robots, 15 x robot bases, 1 x Romeo's lab, 1 x Romeo's lab base & instructions. I was recomended this game as an introduction to cooperative games and my 6 year old loves it, helps that it features his favourite superheroes.